If you fell in love with Mlle. 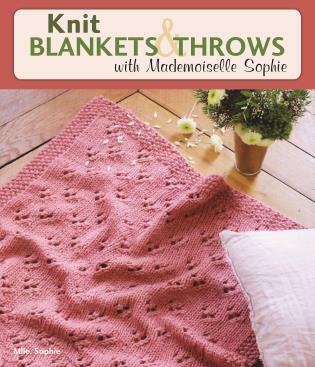 Sophie's classic designs in Stylish Knit Scarves & Hats, you will be thrilled with the clean, modern look and international flair she brings to this collection of blankets and throws for the home and family. Her designs have a timeless vibe that works well in any decor; just change the yarn color to suit your favorite palette. Mlle Sophie is the author of Stylish Knit Scarves & Hats with Mademoiselle Sophie (978-0-8117-1607-9) and the designer of the hot Trendy Châle pattern. She is the founder of Breaking the Wool (www.breakingthewool.com), a knitting kit business with outlets in Paris and San Francisco. She grew up in France, but has lived in San Francisco and currently resides in New York City with her husband and two young children.